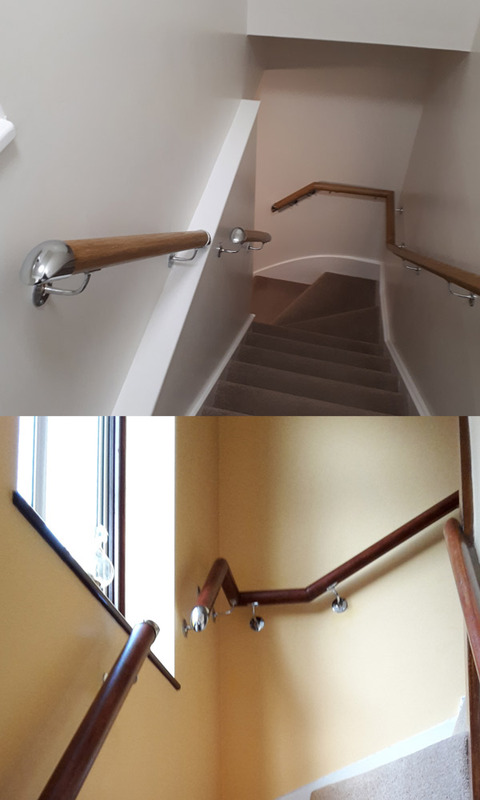 Known as mopstick rails, bannisters can be fitted to most staircases on either one or both sides to allow safer use of the stairs and can be fitted in pine or oak with a choice of chrome, brushed steel or brass brackets and fittings. On curved staircases the corners and joints can be mitred if required to produce a continuous rail. If your staircase has an open side then a full bannister with newel posts and spindles can be fitted and finished off in your choice of paint or stain. (Bannister reinstatement is required before a stairlift can be fitted to comply with UK regulations).